12/22 Bordeaux spinach, apples, cilantro, and duck eggs! 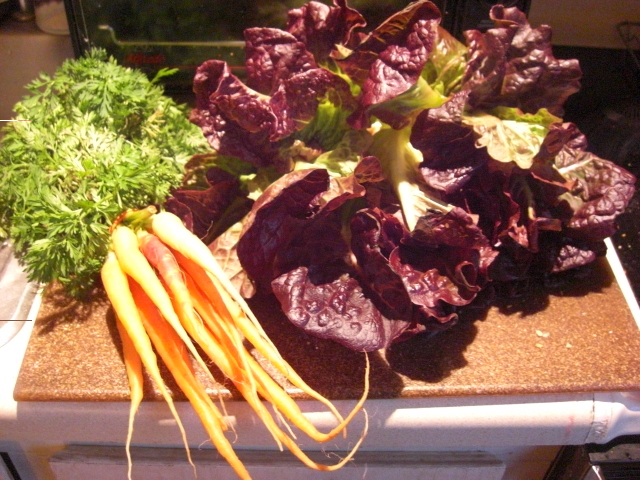 Usually I report the contents of my CSA delivery within a couple of days, so this post is over a week late. Whoops. But the delay lets me describe what I really did with the produce instead of my sometimes out-sized hopes and dreams. I now have a bag and a half of green onions in my crisper. I’m pleased with how well they’re holding up; I’d thought they would get slimy quickly. We’ve loved them chopped in salads and added to pretty much any meal. Go, green onions! 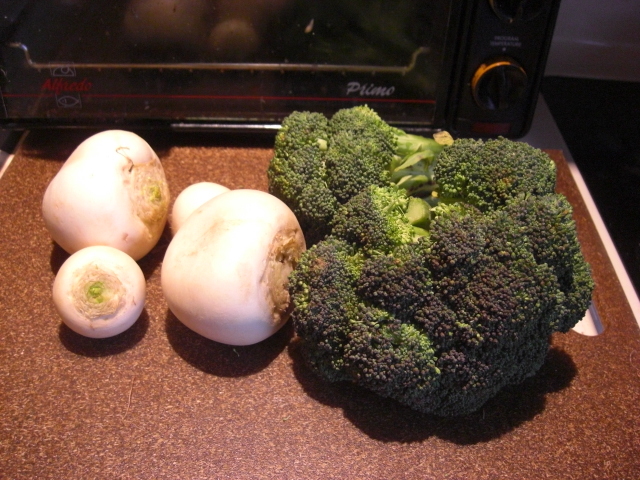 The broccoli florets can be steamed a few minutes for a quick and delicious side dish. You can either steam the stems a little longer or save them for another meal. If they’re in good shape, don’t throw them out! The stems have just as much flavor as the florets if they’re cooked till tender (and not till mushy). Cafe 10:10 Farmers Market in Douglasville will be open every Thursday through January and February. And you can buy all of it direct from local farmers (who really appreciate the winter sales). 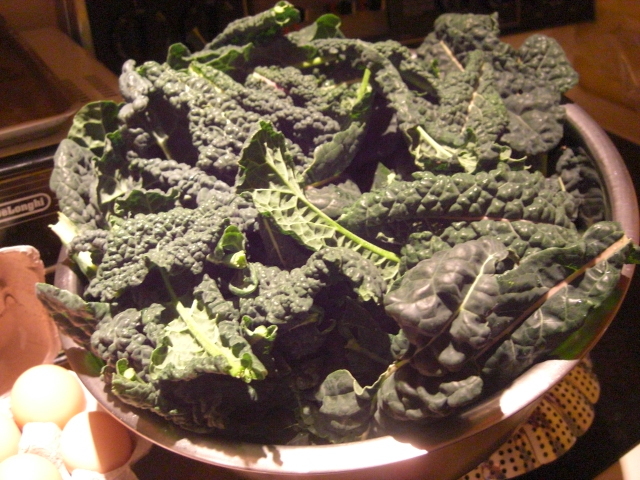 For instance, yesterday I scored a mess of gorgeous Tuscan kale ($4 for a large bag that takes up my entire crisper). The lighting isn't doing much for the kale, but trust me, it's dark and beautiful. Last night, we had bok choy with raisins and walnuts and baked pumpkin. Whenever I eat bok choy, I remember meeting Marcus Samuelsson, who proudly served collards mixed with bok choy. 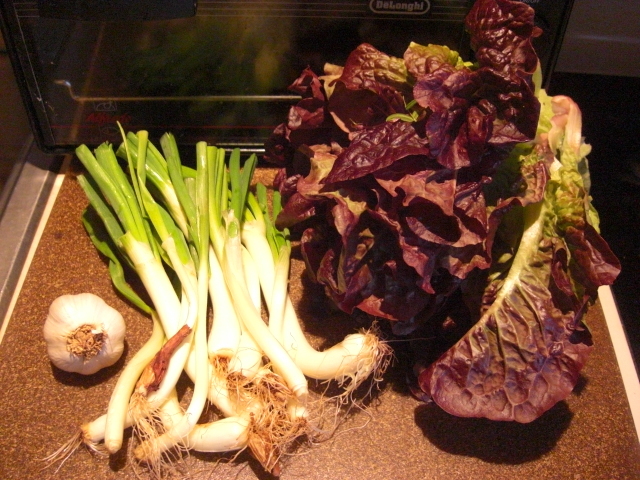 Chef Samuelsson suggested the addition of bok choy makes collards more pleasing for the collard-phobic. No dice. I choked mine down because I didn’t want him (or me) to look bad. 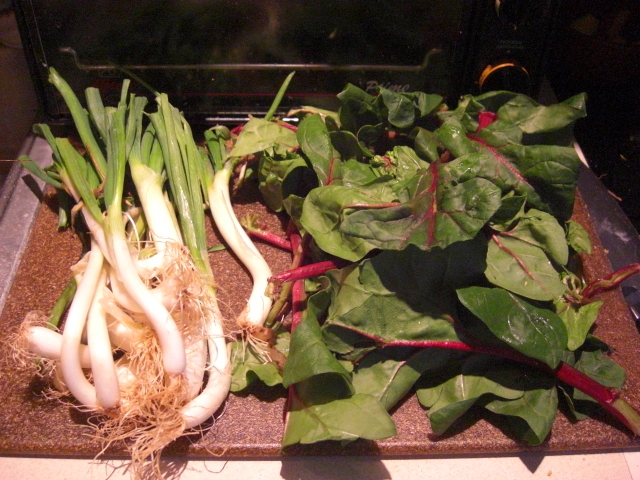 Honestly, if salt pork can’t make collards palatable, what chance does bok choy have? We ate up Chef Bryan’s yummy bruschetta mix as pico de gallo with sour cream and toasted tortilla chips. 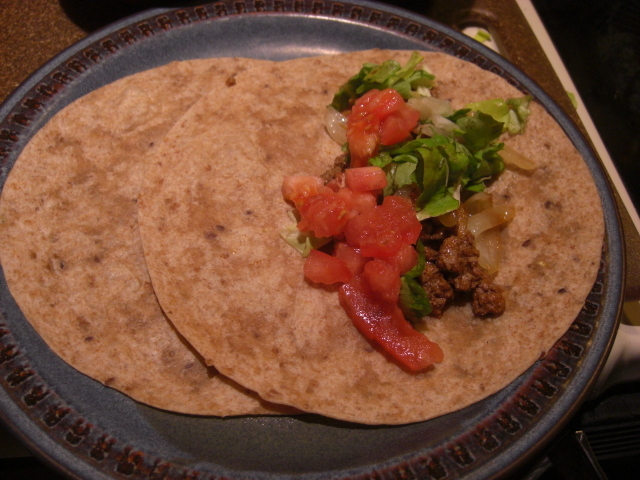 The mix had that bright, fresh taste that makes pico such a treat. 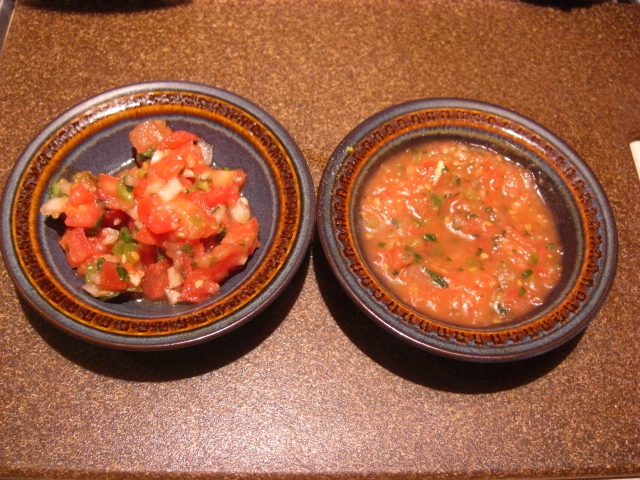 My bowl of brusch-salsa is on the right. I blended it because I’m still such a baby about fresh tomatoes. And we’re enjoying fromage blanc on muffins heated just a touch in the microwave. It is unbelievably good. 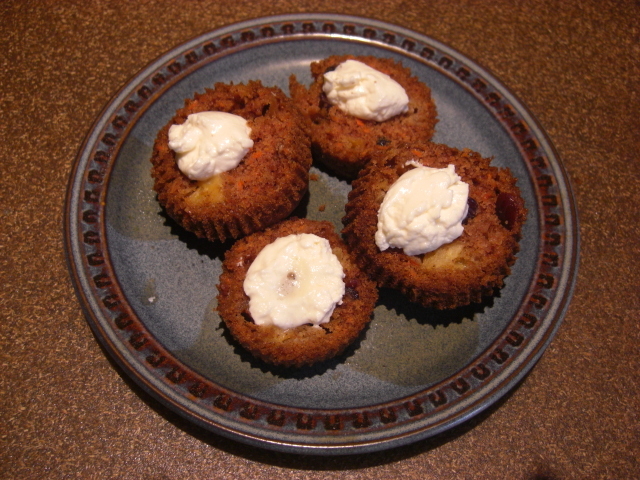 The slight tang of the fromage blanc complements the sweet muffins really well. 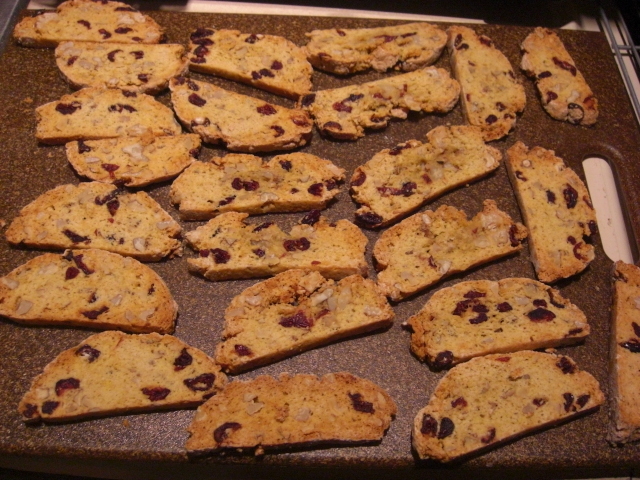 This year, I’m baking Christmas with walnut-craisin biscotti. It’s the only thing I bake well enough to give as a gift. 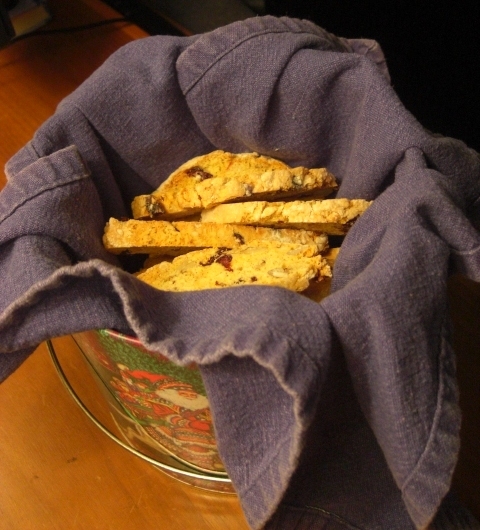 Not too sweet and makes the best breakfast or afternoon snack. So far, I’ve made four loaves worth. Well, five if you count the one I forgot to add the sugar to. I get to keep that one. It’s surprisingly good, and a little honey makes it perfect. Four more loaves to go before Friday. Wish me luck! 12/15 green onions, carrots, and broccoli! These carrots would be gorgeous steamed with butter and parsley. Or raw as snacks or in salad. Defrosted a pound of local ground beef this week. Half of it went into tacos, and the other half, cottage pie. 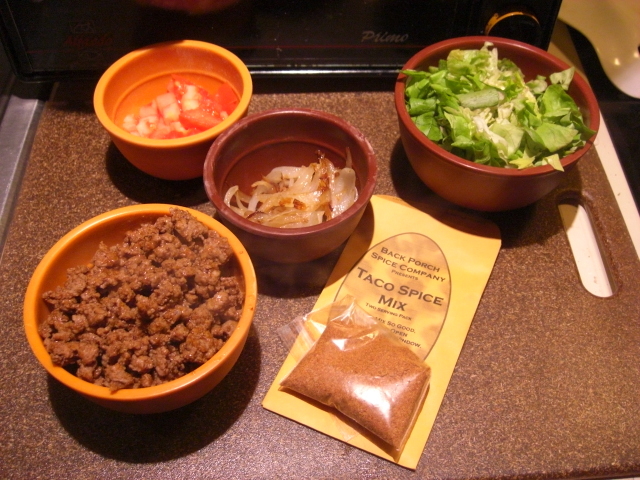 The lettuce and tomato from last week along with the locally made taco mix from a week or so before had me thinking tacos with ground beef.